Berlin, Germany. Across all sectors, personalised, on-demand service is no longer a luxury, but an expectation. When consuming media, users are looking for accessible, quality content across all platforms, at all times, in all languages. For the audiovisual translation sector this presents a huge challenge, but also a great opportunity. Never before has there been such high demand for professional media translation services, but these new times also call for new methods, new approaches and new thinking. At the 11th biennial Languages & The Media Conference, international experts will meet to discuss the most recent developments impacting audiovisual translation and explore the methods that will allow us to navigate and conquer the new agile mediascape. New technology, better Internet access, and an influx of on-demand streaming services have made it easier than ever to access content from around the world. These advances and the rapidity with which they’ve become part of the environment, however, pose a challenge to the field of translation: How can the industry remain agile with surging demand for round-the-clock media? 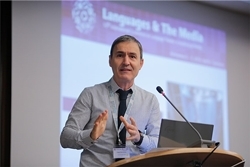 At the eleventh annual Languages & The Media conference, delegates will discuss the challenges, opportunities and most recent developments impacting audiovisual translation and teaching. The conference takes place November 2 – 4, 2016, at Hotel Radisson Blu in central Berlin, Germany. Under this overall theme, discussions at the conference will explore the new professional landscape for audiovisual media, the potential that interdisciplinary research holds for the sector, and the challenges that lie ahead. Languages & The Media has a track record as a productive meeting place for decision makers and language and media practitioners from science, academia, and business, and this year’s agenda is certain to appeal to distributors of audiovisual media products and services, broadcasters, producers, film festival organisers, software and website developers, translators, subtitling and dubbing companies, and language industry specialists. 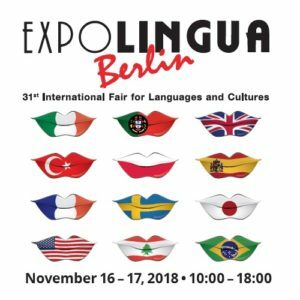 As in the past, the 2016 edition’s exhibition will provide an exhibition for producers, vendors, and service providers to showcase their latest translation technology, subtitling systems, mobile devices, and communication tools to a well-informed, tightly focused group of committed professionals. The call for papers is open now and proposals can be submitted until Wednesday, April 30, 2016. For more information on how you can be part of this year’s Languages & The Media, please visit www.languages-media.com.